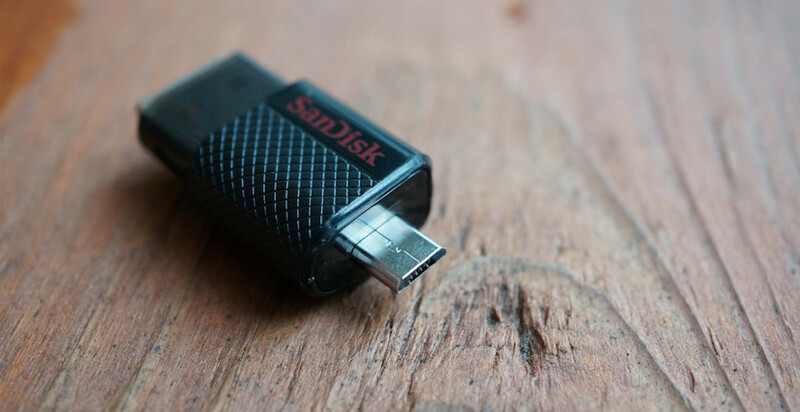 SanDisk introduced a new product this morning called the Ultra Dual USB Drive (long name, eh?) to help you easily transfer photos or files from tablet or phone to PC and back again. The product sports both micro-USB and USB 2.0 connectors, with the idea being that you could attach the UDUD to your phone or tablet, put a bunch of recently taken pictures on it (or files), and then unplug the drive on your way to a computer for enjoyment on a bigger screen or sharing. The unit comes in 16GB, 32GB, and 64GB variants with a price range of $19.99 to $49.99. 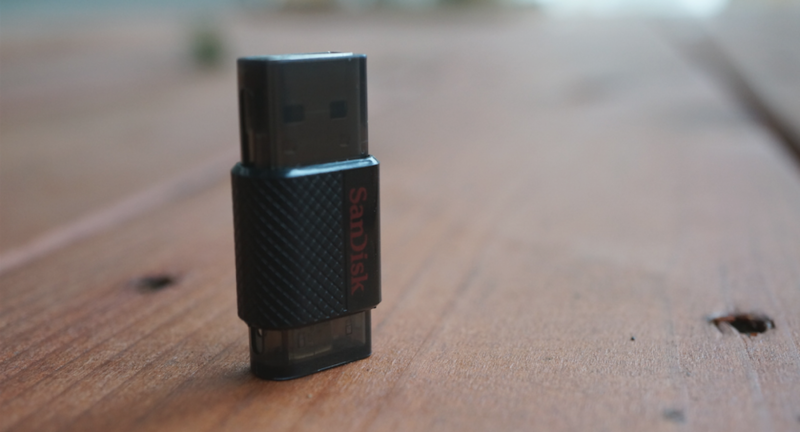 You can pick up the Ultra Dual USB Drive at a variety of retailers, including SanDisk’s site. As you can see from the images of the device in my hand, it’s quite small and compact. If you were looking for an all-in-one solution that doesn’t involve a USB OTG cable, attached to a flash drive, this might just be the ticket. There are sliding doors to protect each end, a loop in case you want to connect it to a string or keychain, and is completely pocketable. It should most definitely be noted that compatibility is something you will want to research before purchasing this product. Your phone or tablet must support USB OTG (on-the-go) in order for this to work. That means that Nexus devices and the Moto X are out unless you are rooted. Once rooted, you may find support, though nothing is guaranteed at that point. SanDisk lists out the Galaxy S3, Galaxy S4, Galaxy Note 2, Galaxy Note 3, HTC One, and Sony Xperia Z as being some of the supported devices. The full official list can be found here. After spending some time with the UDUD, I can safely say that the product makes a lot of sense. If you don’t have any sort of cloud backup solution setup or don’t feel like emailing files or photos to yourself on the regular, this could come in handy. I easily attached the UDUD to my Z1 Compact, added some photos, unplugged, and then transferred them to my iMac pretty quickly. 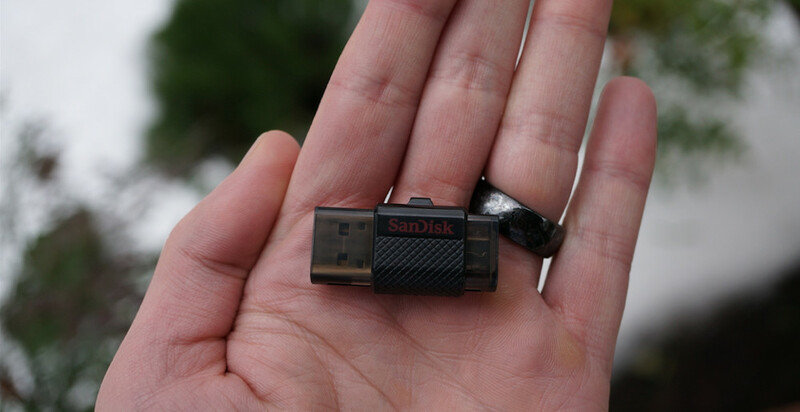 To learn more, hit up SanDisk’s site or watch the video below. Could This be Our First Look at the Galaxy S5 Design?